It’s a video all parents can identify with – a mum struggling to get not one, but two, unwilling toddlers to bed. 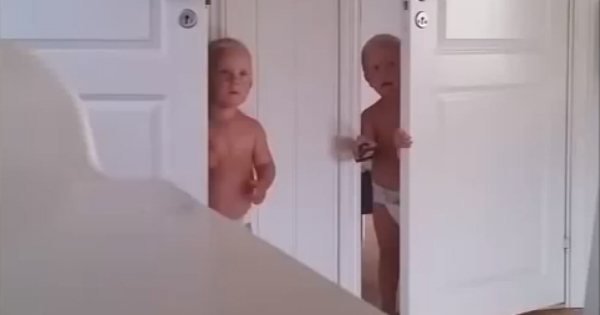 Norwegian mum Henriette Jonassen posted a lighthearted time-lapse video on YouTube documenting one night of trying to get her twin two-year-old boys to stay in bed. The video quickly captured the imagination of parents across the world, with more than three-and-a-half million views in two weeks. Ms Jonassen, 21, was surprised by the response – but even more so by some of the nasty comments she endured from online trolls. So much so that she started a blog, and used her first post to hit back at haters. She explains that her usual routine hadn’t been working recently and a friend had suggested trying something new. “But I was pretty certain it wouldn’t work, so I filmed it,” she says. She says she posted the video on Facebook and before she knew it, it had gone viral. “That was not my purpose, but I thought it was quite funny actually, and people kept sharing it,” she says. But she says comments became “mean, hurtful and disrespectful”, criticising her parenting style and bedtime routine. “What I want to achieve, is to tell you that I’m not a bad mom. I’d do anything for my children, I really would,” she writes. It’s a perfect response – but what a shame she felt she had to justify her parenting decisions to the whole world! What do you think? Watch her video below and then check out her blog post.